So I’ve been trying to think of desserts that are fun and simple for Donovan this week. This one is so great! 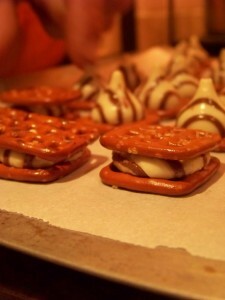 Danny, Donovan and I made chocolate pretzel sandwiches! 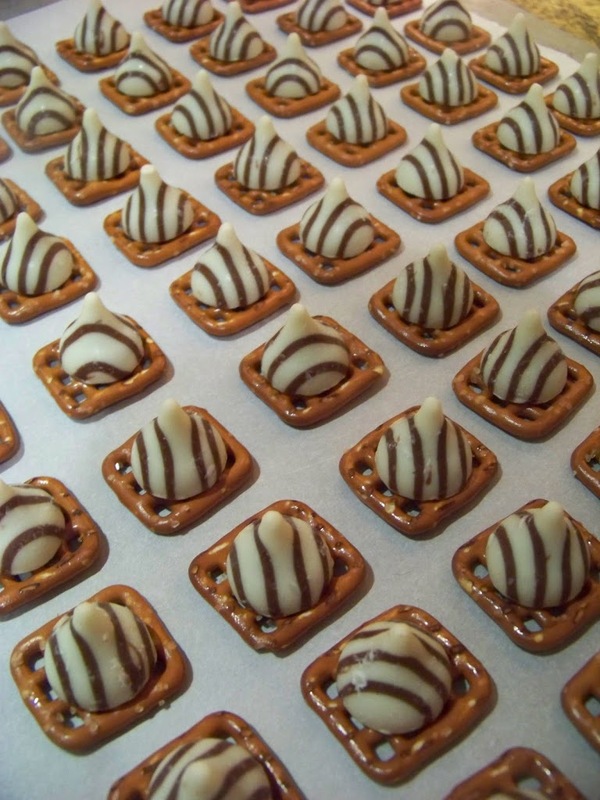 They are so easy to make and extremely tasty! 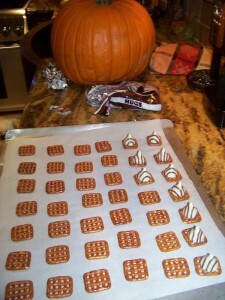 – Place a sheet of wax paper on a cookie sheet and lay out your pretzels. – Place one chocolate on each pretzel. -Place in the oven for 5 min at 250 degrees or until the kisses are melted (but still hold their shape). 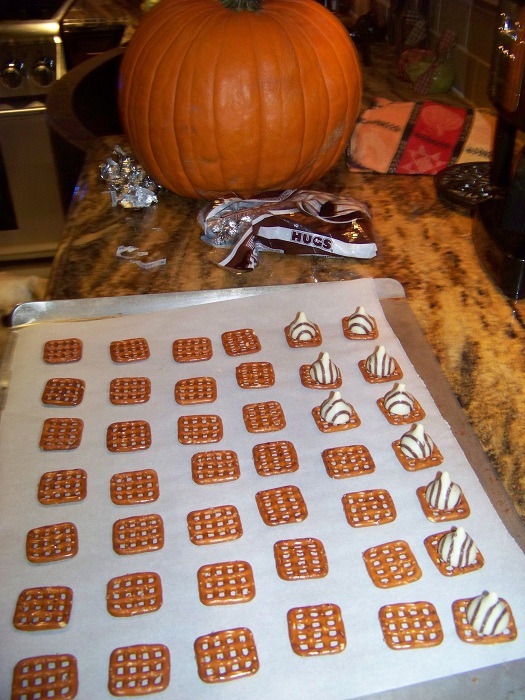 * Tip: be careful not to spill the pretzles when moving the sheet into the oven — they slide around! 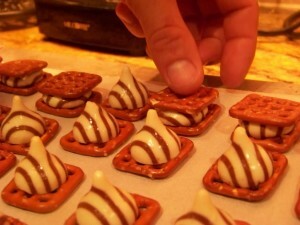 -Take the melted kisses out of the oven and place another pretzel on top of each kiss. -Place the finished sandwiches in the freezer for 20 minutes or until the chocolate has hardened. 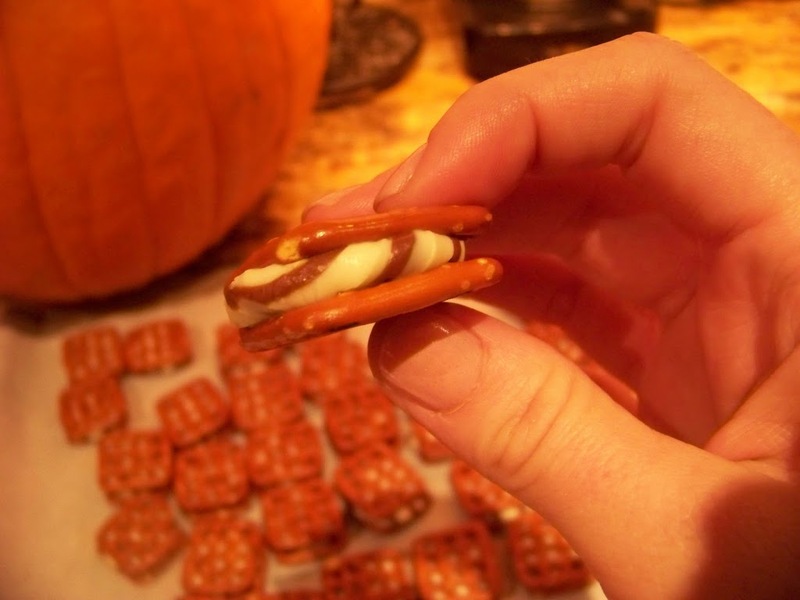 This entry was posted in Food, Sweets, Uncategorized and tagged Fall, Halloween. Love it – All I needed were the chocolates anyway! !